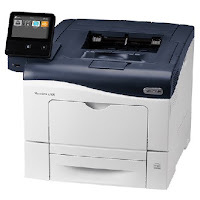 Xerox VersaLink C400 ConnectKey is designed to make its VersaLink printers smarter and more secure. The Xerox C400 affordable A4 colour laser which allowing you to customize its capabilities with a wide range of freely available apps. In addition, you'll see the C400 on first power up as the 5 in colour touchscreen reveals four pre-installed ConnectKey apps. The C400 also allows wired and wireless networks to be active simultaneously. Print security is good and includes local and LDAP user authentication, print and hold and PIN secured prints. The VersaLink C400 is a great choice for colour quality, good print speeds and cloud printing options.